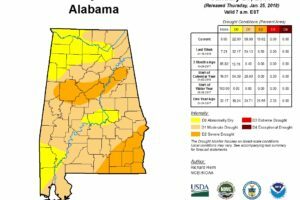 NWS Birmingham offers several ONLINE Basic Spotter Courses and a single Advanced Spotter Course each spring and fall. 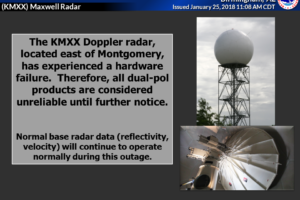 For all you avid radar users and geeks out there, The Maxwell (KMXX) Radar has experienced a hardware failure that’s affecting dual-pol products. Those products will be unreliable until further notice. 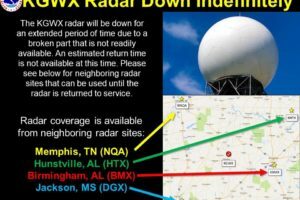 KGWX, the National Weather Service WSR-88D in Columbus, Mississippi, will be down until further notice. 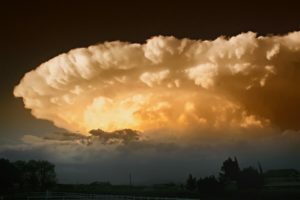 Throughout the Southeastern United States, the spring months of March, April and May are considered the primary severe weather season, but did you that we also have a secondary severe weather season near the end of the year? 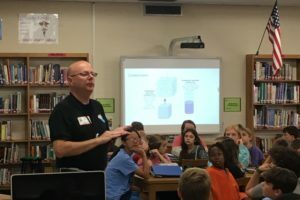 This will be the third consecutive year that students in the sixth grade at Pizitz Middle School have launched an ambitious weather balloon mission. 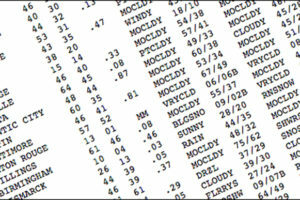 Weather Officer Training was held last week, and a student journalist, John Edwards, wrote this story about it. 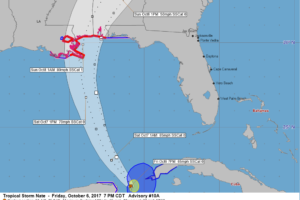 With Hurricane Nate strengthening, expected impacts along the northern Gulf Coast, including the Alabama and Northwest Florida coasts are now expected to be more serious. 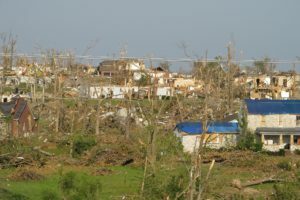 Residents and visitors should prepare accordingly and heed the advice of local officials. Nate is a strong tropical storm tonight and will likely become a hurricane tomorrow morning. It could be a strong category one hurricane at landfall tomorrow night somewhere between southeastern Louisiana and Mobiel Bay. 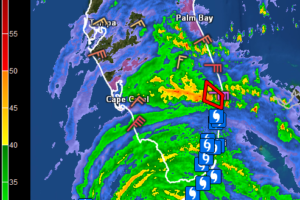 Residents and visitors should prepare for one category stronger (category two). 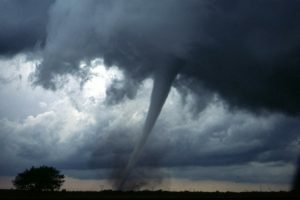 Want to become a “storm spotter,” these classes will teach you what you need to know to become a true storm spotter. First class is Tuesday night at 6:30 PM. While Irma has greatly faded from her strongest numbers, her wrath will be felt for a while as clean-up starts in the southeast. The NWS in Miami is warning that the center of Irma is near Marco Island. 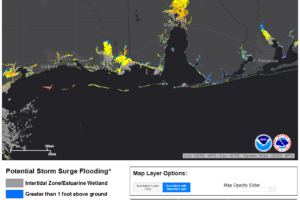 Storm surge flooding is expected to begin shortly. 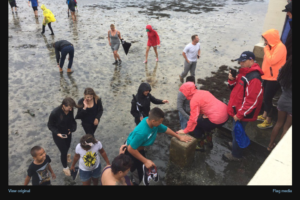 Water is draining from harbors and bays along the west coast of Florida. It is VERY dangerous to go out while the water is evacuated. It will come back with a VENGEANCE when the wind shifts. 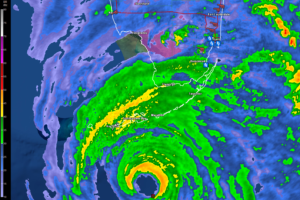 The eyewall of Hurricane Irma is impacting the Lower Florida Keys right now. Winds are gusting to hurricane force in Key West. “Put your shoes on now!” was a familiar refrain from my mom during tornado warnings in the 1970s. It was good advice then and still is today if you are in a hurricane or tornado or flood. Now Category Four Hurricane Irma is moving at 9 mph toward Key West. 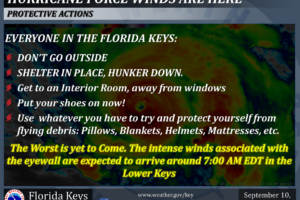 Winds are gusting to hurricane force already in the Keys. 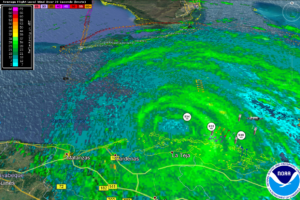 They will begin experiencing the eyewall around 5 a.m. CDT. The NOAA Hurricane Hunter plane is finding that the pressures in Irma continue to drop. Thankfully the winds aren’t keeping up with the pressure drop but intensification is still likely. 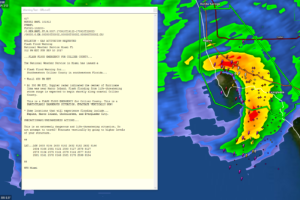 The threat to the Keys and West Coast of Florida is extreme.